But, don’t mistake our fun for not getting work done, because that is the point! There is something remarkable about joining with other entrepreneurs, business owners, and remote workers in a space that brings new accountability and energy to your work. Our members tell us all the time how much more productive they are when they are here! And, our location is super convenient – right where I-5 and I-405 meet! We have plenty of shared work space, too! Bring your laptop and stake your claim on a space for the day, week, or whatever you need! 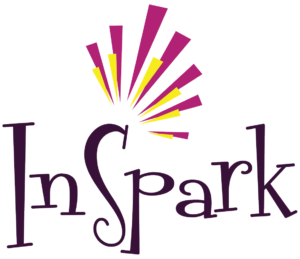 Read about all the latest news and cool things happening at InSpark Coworking. View the full blog here. The use of an office or other working environment by people who are self-employed or working for different employers, typically to share equipment ideas, and knowledge.